Negative stress has become an accepted norm in professional kitchens, stress isn’t a necessary ingredient to create great tasting food. Electrolux champions the changed kitchen by developing products that relieve stress and keep you focused on the task during the most stressful moments. Reliability and consistency are key product attributes that Chefs rely on daily. 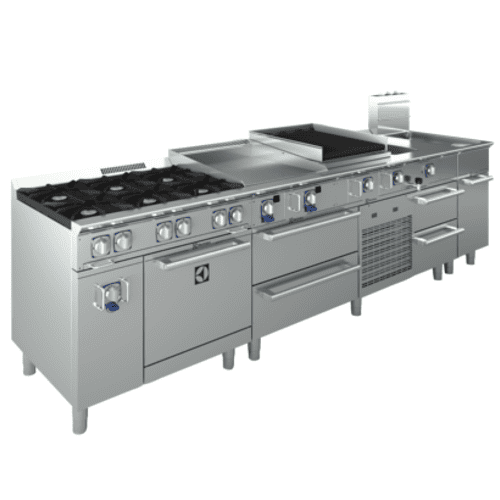 Be able to work more efficiently on the EMPower restaurant series range lineup because of its reliability, consistency and modularity. Chefs are able to create the suite of their dreams to match the demands of a kitchen with the modular ease of configuring the EMPower suite that fits your kitchen space and culinary needs.